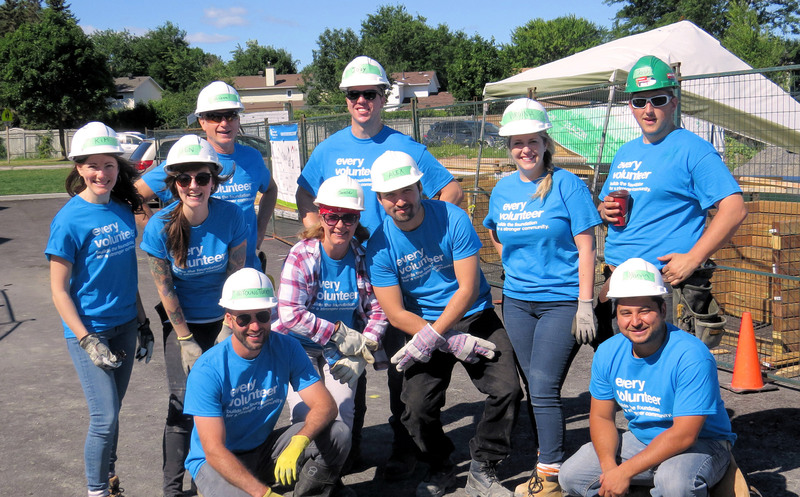 On Wednesday, July 18th some of the Welch LLP staff, including Managing Partner Micheal Burch, had the opportunity to participate in a Build Day with Habitat for Humanity, at the Leacross Landing build site in Ottawa. They spent the day assisting with various tasks involved with building a house. Founded in 1985, Habitat for Humanity Canada is a national, non-profit organization working toward a world where everyone has a decent and affordable place to call home. Every Habitat home built helps to generate $175,000 worth of benefits to the local community. In addition to this, Habitat for humanity has an international program providing shelter for developing countries around the world, and Indigenous Housing Partnerships across Canada that improve the living conditions of indigenous families on and off the reserve. To learn more about this organization, or to get involved visit https://www.habitat.ca/.